글로벌 블록체인 AI 위원회 Global Blockchain AI Council (GBAC), 글로벌 블록체인 AI 위원회는 세계에서 디지털 자산과 블록체인 AI업계을 대표하는 선도적인 거래 협의회이다. 광범위한 네트워크뿐만 아니라 정상 회담과 업계 포럼을 조직한다. 글로벌 블록체인 AI 위원회는 세계에서 디지털 자산과 블록체인 AI업계을 대표하는 선도적인 거래 협의회이다. 광범위한 네트워크뿐만 아니라 정상 회담과 업계 포럼을 조직한다. 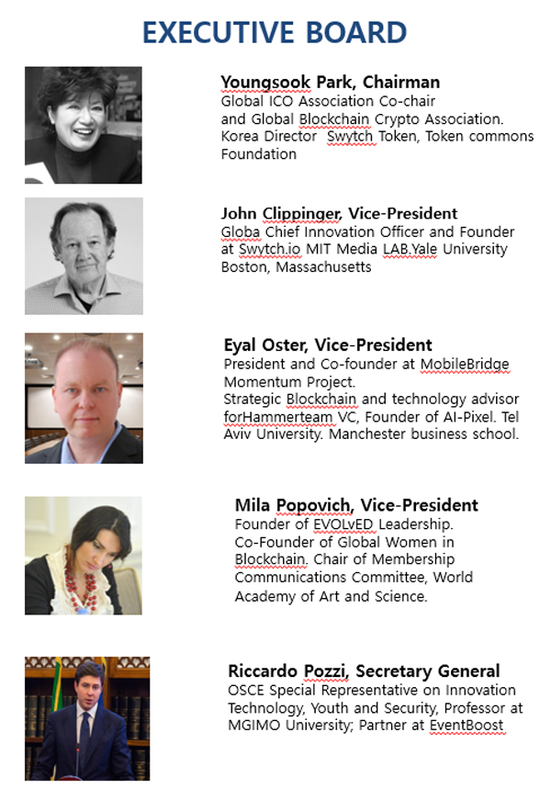 The Global Blockchain AI Council is the world’s leading trade council representing the digital asset and blockchain AI industry in the world. It organizes summits and industry forums as well as extensive networks. 우리의 사명은 디지털 자산의 수용과 사용 및 블록체인AI 기반 기술을 촉진하는 것이다. 교육, 지지, 정책 입안자, 규제 기관 및 산업계와 긴밀하게 협력하여 우리의 목표는 혁신, 일자리 및 투자를 촉진하는 환경을 개발하는 것이다.Our mission is to promote the acceptance and use of digital assets and blockchain AI based technologies. Through education, advocacy and working closely with policymakers, regulatory agencies and industry, our goal is to develop an environment that fosters innovation, jobs and investment. 다국적 블록체인과 AI는 블록체인과 관련된 자원 분배의 갈등을 완화하고 분쟁을 완화하기 위해 공정한 자율 규제 정책, 법률 및 모범 사례를 수립할 목적으로 자발적 규제 기관을 운영했다.A multinational Blockchain & AI related self regulating body with the purpose of setting a fair set of self regulated policies, laws and best practices with the intent to help mitigate conflict related to blockchain related resource distribution to harmonize the conflicts as well as dair distribution of wealth.